Animal shelters across the U.S. are teaching cats tricks so that they will be more appealing for adoption. 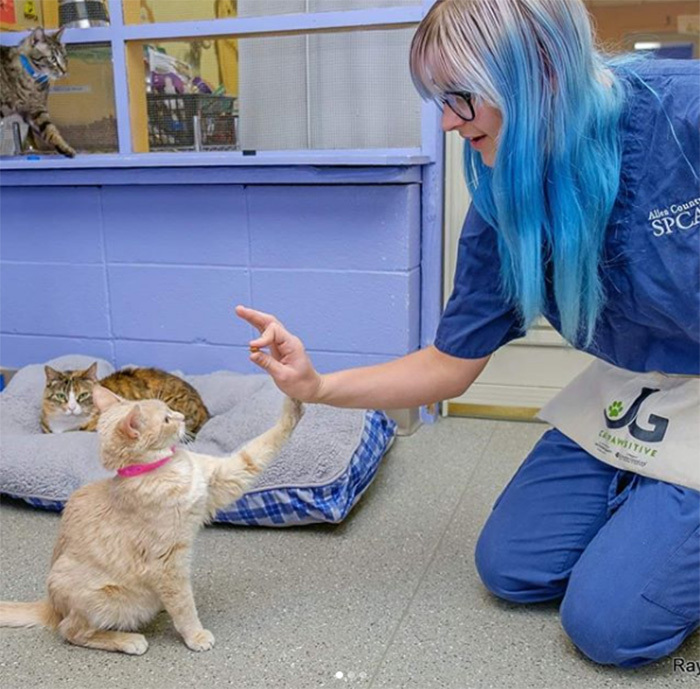 The Cat Pawsitive program, started by The Jackson Galaxy Project and GreaterGood.org, trains adoptable cats in order to decrease stress, increase engagement, and raise adoption rates. Since the shelter environment can be overwhelming for a cat, its true personality doesn't always shine through. "Big life changes can lead to cats losing their mojo, their confidence, their raw cat essence. When suddenly faced with a noisy shelter or an unfamiliar foster home, even the most outgoing and friendly cats can become nervous, shut down or even just bored. This can lead to behaviors that make them seem less 'adoptable,' " Christie Rogero, program manager for Cat Pawsitive, told Mother Nature Network. "When they arrive in a shelter, they may have lost the only family they've ever known, or they may have come from a difficult life as a stray on the street," Rogero added. 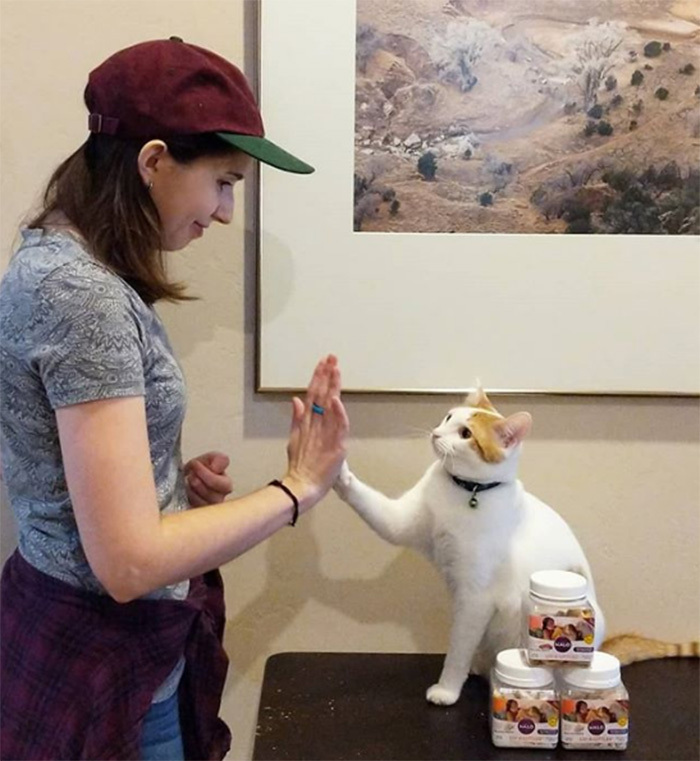 "We help those cats to feel more confident, to feel safe interacting with new people, to even spend more time at the front of their cages actively soliciting attention than hiding in the corner with their face to the wall." So far, nearly 30 shelters around the country have worked with the Cat Pawsitive program. More than 50 additional shelters are expected to join in by the end of 2018. More than 400 cats who participated were adopted during the first two semesters of the program.